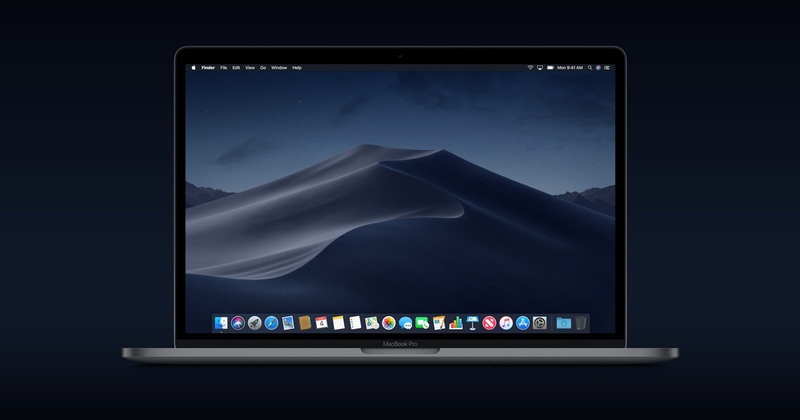 Last month, Apple previewed the next big update coming to the Mac this fall: macOS 10.14 “Mojave”. We are hard at work getting Direct Mail ready for the new operating system, and will have an update ready before Mojave becomes generally available. Please note that if you choose to install beta versions of macOS 10.14, you may encounter bugs that could interrupt your workflow. For business-critical tasks, we recommend remaining on macOS 10.13 until the public release version of 10.14 is available. Update (August 3rd): The latest public beta of macOS 10.14 is not compatible with the current release version of Direct Mail. If you need to run Direct Mail, please do not install the public beta, and instead remain on macOS 10.13 or earlier. 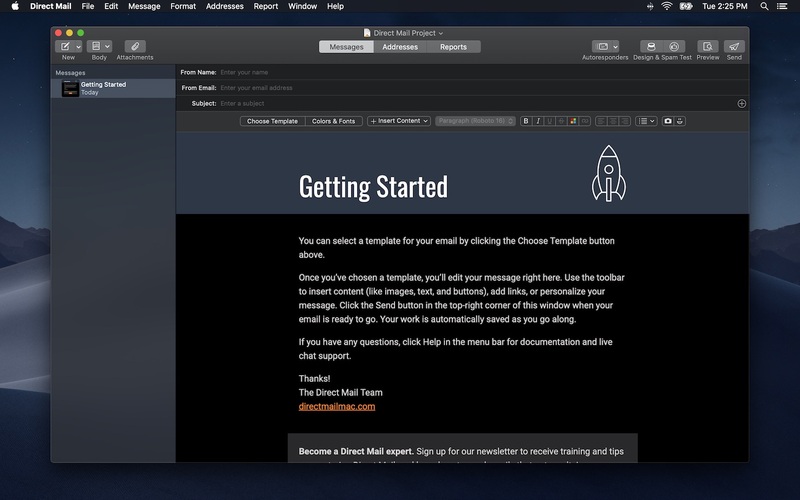 One of Mojave’s headlining features is a brand new “Dark Mode”. We think Direct Mail looks great in dark mode and wanted to share a sneak peek of what you can look forward to in the fall! Direct Mail has long been compatible with Apple Mail stationery (where it appears in the “Legacy” section of Direct Mail’s template chooser). However, Apple is removing Apple Mail stationery from macOS 10.14. This will not present a problem for most customers, since stationery is rarely used these days. If you are, however, using stationery in Direct Mail and wish to do so after upgrading to macOS 10.14, click here to learn what you can do to prepare. Hint: upgrade to Direct Mail 5.3 before upgrading to macOS 10.14.